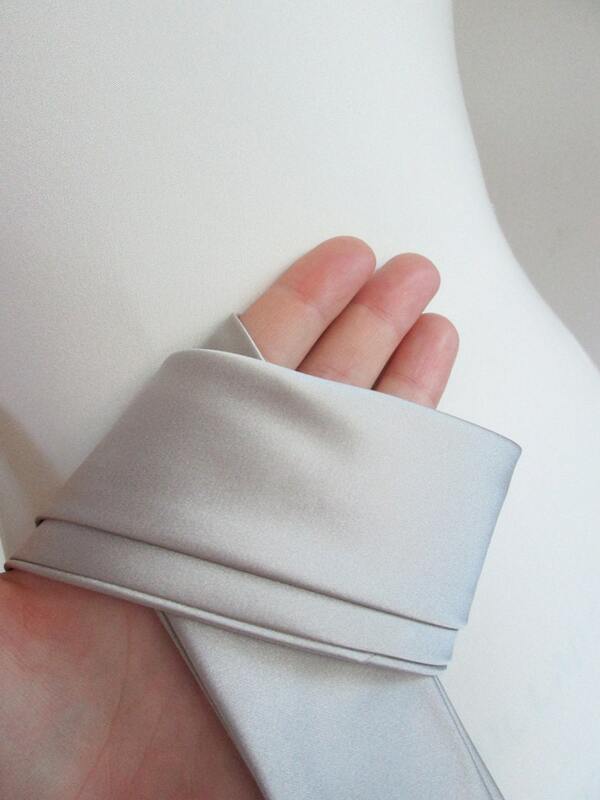 This is a couture hand made silk sash. 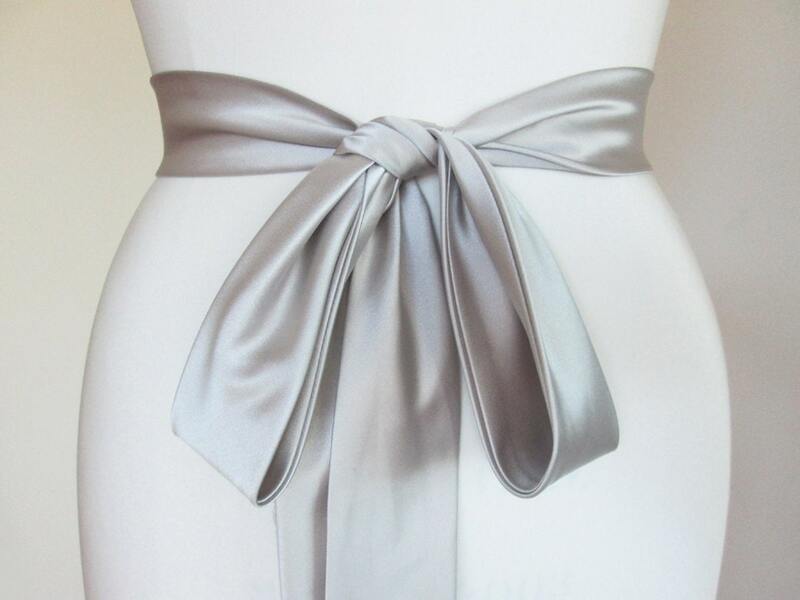 It is made with the top quality silk Duchess satin cut on bias and sewn together to form this exquisite sash. 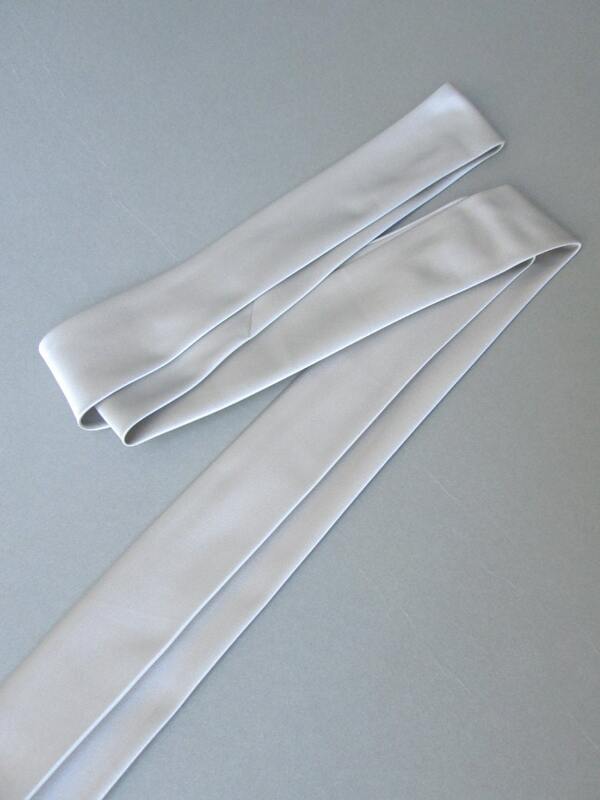 This technique results in an elegant sash that has a rich silky feel, body and a beautifull drape. This sash measures 1 3/4" wide and 160" long. 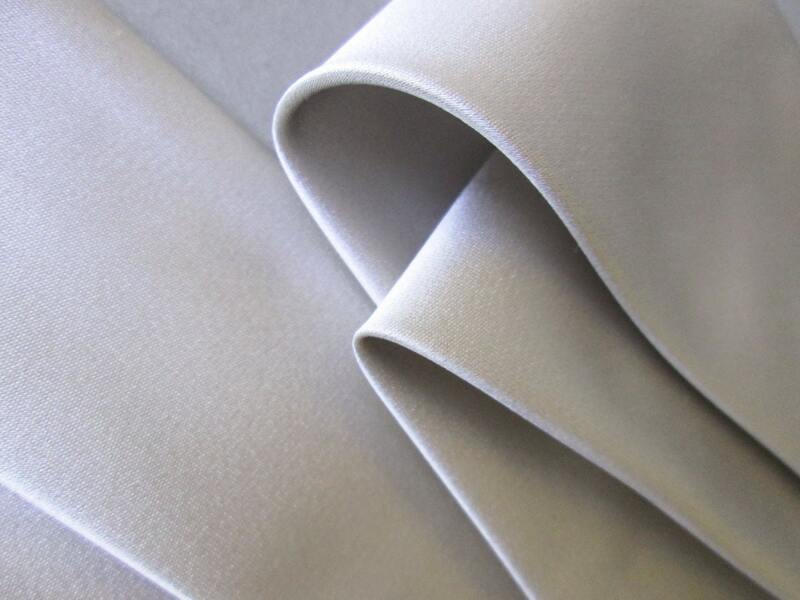 This silk satin has a beautiful silver color with slight taupe/ lavender undertones.